Austral Indigo ( Indigofera australis, FABACEAE ). 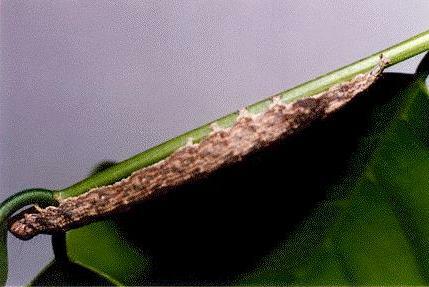 The caterpillar grew to a length of about 4 cms. 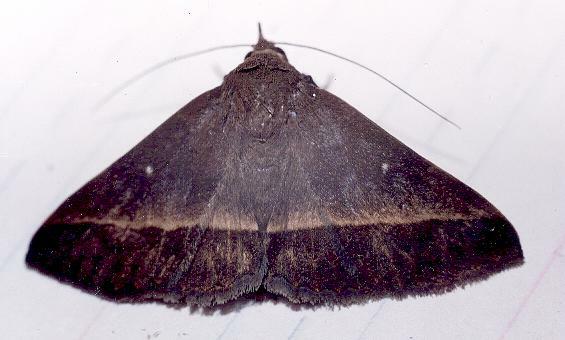 The adult moth has wings that are brown, each with a pale-edged dark submarginal line. 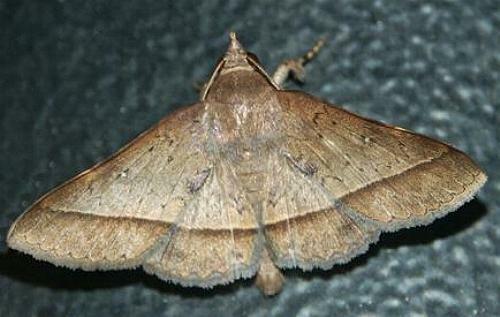 The forewings each have a complex pale spot near the costa. The wingspan is about 4 cms. Volume 50 (1939), p. 148.